Over two million people in Europe live with an inflammatory bowel disease (IBD). Besides, the number of patients is increasing and it's become one of the most common immune-mediated diseases in young adults. Among the IBDs, Crohn's disease and ulcerative colitis, are the most common. The current treatments include drugs and biological therapy. But, their efficacy is low and both have side effects. 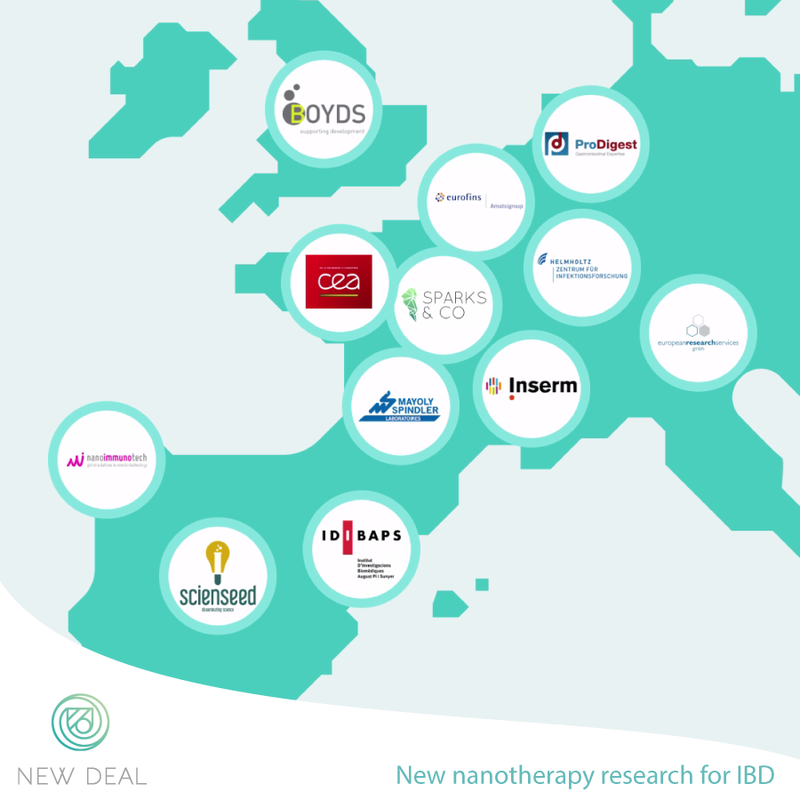 In this context, New Deal has been funded to find innovative treatments. We are developing a selective and local therapy, using siRNA and nanotechnology, to fight IBDs. It might sound interesting for scientists, but other audiences might find this phrase impossible to understand. Communicating the complex science behind our project represents a big challenge and, to overcome it, we have prepared this video animation to show what we do in NewDeal and how we do it to a wider audience. Now that you know more about us, we invite you to follow our work and future steps in our way to achieve our project goals! Here you will find all the news about our team and the progress of our project!